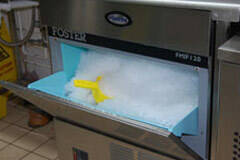 We are your local experts in high quality refrigeration technology. Understanding the need for safe and consistently performing refrigeration units, we can help to create the perfect solution for your needs. We understand how difficult it can be to know what you need and which might be the most cost efficient, practical option for your business. To ensure that we give you the very best refrigeration equipment for your circumstances, we provide full site surveys and detailed quotations before commencing work.